Today I'm sharing a Lost Coast Designs and Carmen's Veranda DT project I made for our current monthly challenge over at Lost Coast Portal to Creativity, our dedicated event and challenge blog! The theme this month is Single Layer. 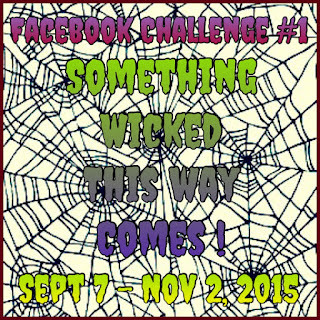 The challenge ends on Sept 25 so there's still time to get in your entries! I hope you'll join us! 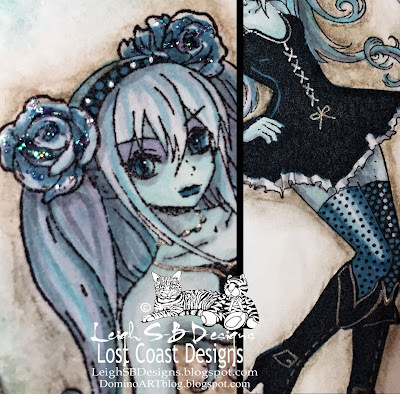 I started out by stamping this lovely new lady to our Lost Coast Designs Manga collection with Tuxedo Black Memento ink onto Neenah solar white cardstock and coloured her with Copic markers and added metallic silver detailing with a gel pen. I love working with the blue/purple colour combo and miss Manga Goth Dots is looking super sassy in those shades! I used a torn piece of scrap paper to mask her area off and stamped the background swirl design, which is also new to our Carmen's Veranda line and has a nice grungy feel to it, with Peacock Feathers Distress Ink. 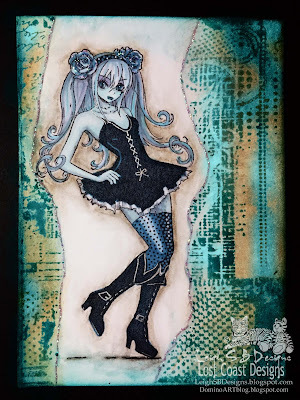 I then used a water colour pen to blur and bleed the design a bit as well as adding more ink with an ink applicator sponge and also worked in some Tea Dye Distress Ink too. I removed the mask and coloured the exposed background with a brown Derwent Pastel pencil that was blended with a Dove Blender pen and then I added a touch of Peacock Feathers Distress Ink too. Boy was it hard not to add some kind of embellie to this project coz it was for our Single Layer challenge after all so I blinged it up a bit while adding the illusion of layers by adding Crystal Stickles glitter glue lines over the 2 masked edges and a touch of sparkle to the roses on her Alice band. I hope I've inspired you to try your hand at creating a single layer project and look forward to seeing your projects in our challenges! 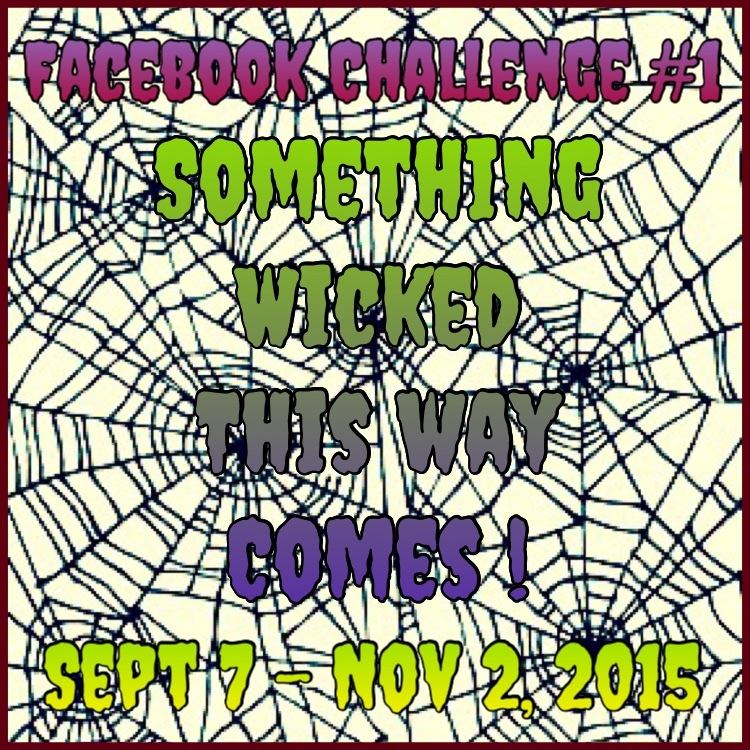 Plus, we are so excited about Halloween that we jumped the gun a bit and gave you tons of time to play in our very first Facebook Challenge! Click the links below and read all about the challenge in the pinned posts at the top of the wall on both of our Facebook Pages!